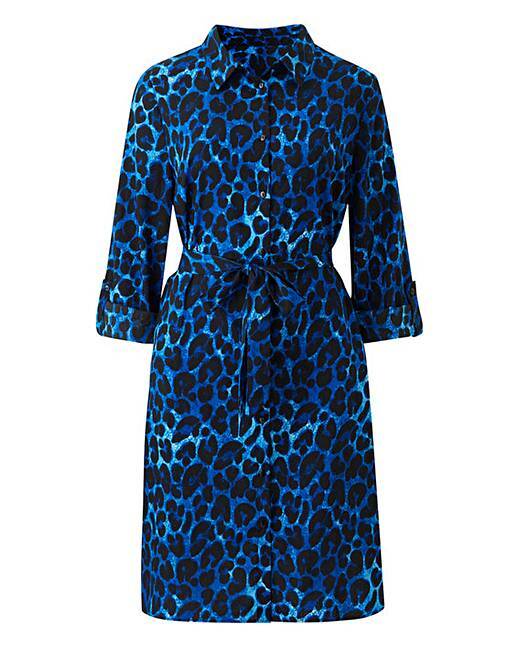 Blue Leopard Print Mini Shirt Dress is rated 4.4 out of 5 by 20. 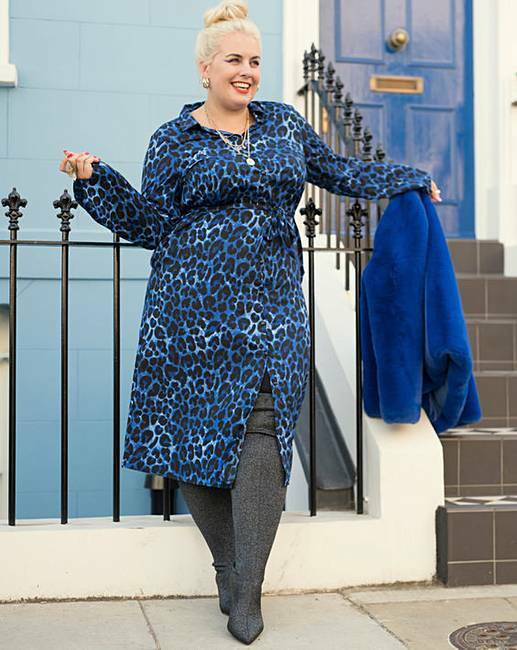 Leopard print is a classic print every season, this season Simply Be designers have introduced a new blue version of the classic style. Crafted into a long sleeve shirt dress to flatter your figure, or with the option to wear as three quarter length sleeves with the turn up button fastening, this style can be dressed up or down for a wardrobe favourite. Rated 4 out of 5 by Ellie from Nice than looks on website Bought this in my normal size, fits perfect, material is a little thinner than expected but I’m still pleased with my purchase. Rated 4 out of 5 by alimama from Great colour I wore this dress on a date night with black tights and black ankle boots. It looks great on and the blue colour is stunning. I'm 5'4" so the dress length sits just on my knee, definitely not a mini dress on me. I would have given 5 stars as I love the style, colour and fit of this dress, my only grumble is that the material is very thin. Rated 5 out of 5 by Jazzyvela from Fabulous I bought this for my Xmas do, love it. Teamed it with over the knee boots but can also dress it down with leggings or tights and flat ankle boots.